There is no better way to kiss goodbye to your dull skin and nourish your skin with the most powerful ingredients than incorporating skin serum to your regular beauty routine. 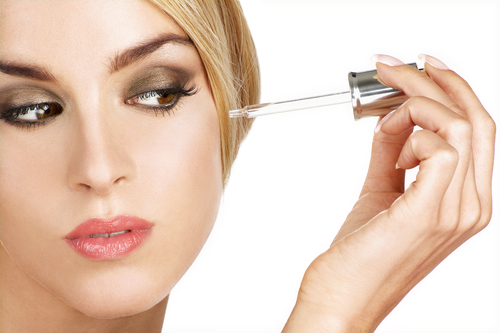 With thousands of face serums available in the market, the choice can be difficult. Keep reading to know about the benefits of using skin serum and have your doubts cleared in case you are thinking of investing in one. It is a skincare product that helps deliver active ingredients to your skin. Serum is a formula that has high concentration of vitamins and nutrients that nourish your skin and help cater to your beauty needs. Ideally, serum is to be used just like you use moisturizer and face lotions. Apply on cleansed skin and massage gently so that it gets absorbed into your skin. read the label carefully for instructions.it can be used safely once every day. WHAT TO LOOK FOR IN A FACE SERUM? Antioxidants to help protect your skin against damages and skin aging. There are hundreds of serums available. Choose as per your needs and as far as your pocket permits. Soon, I will be compiling a post on the best budget skin serums as well as the luxury ones you can lay your hands on. Till then, read about my experience with Just Herbs Beauty Elixir Facial Serum here and the pocket-friendly Biotique Bio Dandelion Face Serum here.